We come in all different shapes and sizes. And while each face is unique, our ethnic background can often play a considerable role in certain features, tendencies and characteristics. When it comes to your nose, your ethnicity is especially influential. However, your Asian, African American or Hispanic descent may not produce the nasal characteristics you want. That’s why many patients turn to ethnic rhinoplasty for help. Dr. Ben Talei is a renowned rhinoplasty surgeon with specialized training in improving the noses of all ethnic backgrounds. Your nose is the most central and prominent feature on your face. Beyond aesthetics, it plays an integral role in body processes like breathing and tasting. If your nose is unsightly or disproportioned, a rhinoplasty (or nose job) is the preferred procedure for correction. Rhinoplasty is one of the most sought after cosmetic surgeries, for both men and women alike. 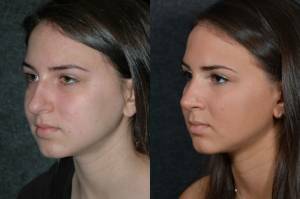 Even teens can get a nose job once they reach a certain point of growth. Not Ready To Commit To Nose Job Surgery? Are you interested in having a nose job but afraid to take the plunge? There are countless patients who are hesitant to go under the knife in order to have the nose they’ve always wanted. 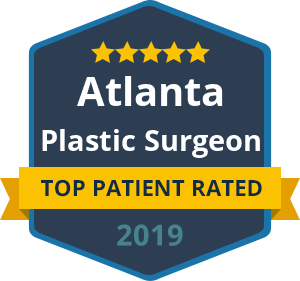 Whether it is the cost, recovery or permanent commitment that is causing you to shy away, there is a solution that can help you achieve a more attractive nose without surgery. At our plastic surgery center in Beverly Hills, we proudly offer non-surgical nose jobs as a less expensive and minimal downtime alternative to traditional rhinoplasty. Despite its central position on your face, the nose should never attract attention. The nose should be in proper balance and proportion within the face to allow more desirable facial features (the lips or eyes) to be highlighted. Rhinoplasty can certainly alter the shape or size of the nose to improve its appearance. However, not everyone wants to undergo nose surgery, and there are times when altering other facial features can improve the appearance of the nose. From liquid rhinoplasty to chin implants, patients can gain a more attractive nose without a traditional nose job.